slowing down | Dare Greatly! I’m sitting on my mom’s front porch in East Texas as I write this. The crickets and the neighbors tractor through the trees is a soothing symphony that has lulled our two dogs into sleep after a hard day of country dog living (sniffing EVERYTHING, peeing on every other thing, and digging up moles). BG is playing in the yard and I’m not even remotely worried about it, which is a big switch from the city. My biggest concern recently is if she bothered to put her shoes on before she went outside. We chose to move to East Texas for a variety of reasons, not the least of which is that I know the area, having grown up here. It also helps that my mom is looking to downsize and is going to sell us a great little property that has everything we could wish for. Most people think of desert and oil wells when they think of Texas, but Texas has a lot more to offer than that. Texas has coastal wetlands, rolling hills of grass and wildflowers, a seemingly endless expanse of grass, and then you have the piney woods where tall Pines mingle with mammoth Oaks, gracious Magnolias, and delicate little Dogwoods. 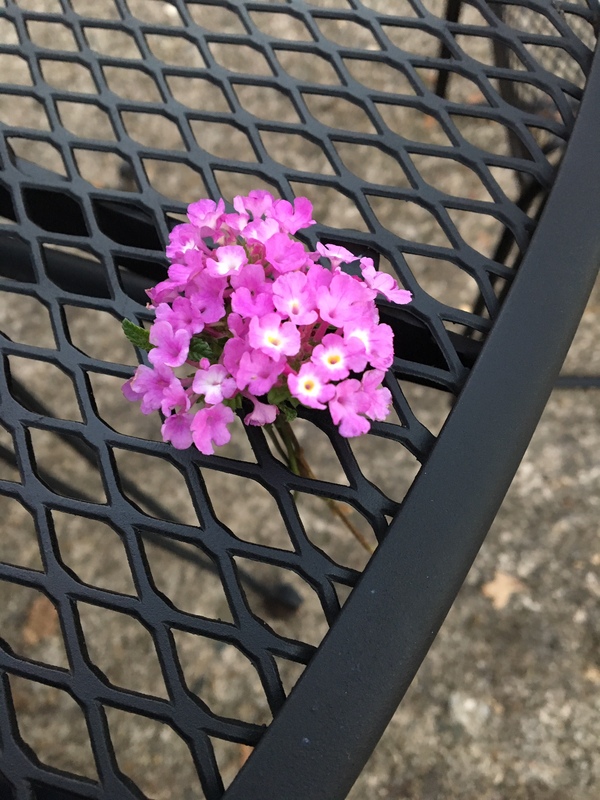 It is the middle of November and while there is a little bit of bite to the air as night comes on, the grass is still green and BG has just brought me a small bouquet of purple flowers. The plan was to start living that more relaxed lifestyle that we’d been dreaming about and I have to admit, we’ve been having some issues with that. Habit has been formed and now we have to build new habits. The habit was to go, go, go and that just doesn’t work here. Everything moves at a slower, more natural pace and I have to admit, I’m loving our new Home Sweet Home. Posted by Dare Greatly on November 20, 2015 in H.S.H.